Need more information about First Encounters Ultrasound and the packages we offer? Below, you will find the answers to a variety of frequently asked questions – all information is provided by our experienced and fully qualified obstetric sonographers. If your question is not answered on this page, feel free to give us a call on 02920 732671 for more information. Alternatively, you may prefer to send us a message on Facebook. We offer elective 2D, 3D and 4D prenatal ultrasound scans to provide reassurance and a positive bonding experience for the mother, father and family members with the unborn baby. We feel that realistic 3D/4D images provide a connection between the parents and baby that can be beneficial to the whole family. We make no claims that the provision of 3D/4D imagery should be used in the assessment of abnormalities, and such scans should compliment, not replace those detailed 2D diagnostic examinations provided within the NHS. Is it safe? Are there any risks to me and my baby? Extensive studies over 30 years have found that ultrasound has not been shown to cause any harm to mother or baby. Routine scanning of all pregnancies is now normal throughout the UK. 3D/4D scans use exactly the same type and intensity of ultrasound as conventional 2D scanning. 3D and 4D ultrasound both utilize sound waves to look inside the body. The technology is similar to radar. A probe placed on the body emits sound waves into the body, listens for the return echo and generates an image. 3D and 4D ultrasound will be similar to a conventional 2D scan in terms of exposure. 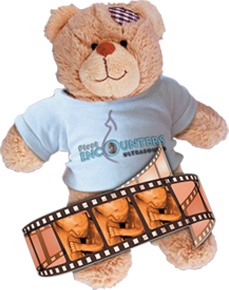 First Encounters Ultrasound performs 3D/4D scans between 24 to 32 weeks gestation. However, for optimum results we recommend coming for a scan at 25 to 29 weeks, when your baby is more developed yet still has room for movement and plenty of fluid to project imagery. How many people can I bring to my scan? Are children welcome? We have no restriction on the number of guests you may bring along. We have seating for up to six guests (not including the mother herself) with some standing room if required. Children are most welcome to share in your experience; however, please be mindful of the sensitive equipment within the scanning room. What type of equipment is used at First Encounters Ultrasound? We use the most advanced, state-of-the-art 3D and 4D ultrasound imaging machine available, the GE Voluson E6. Unlike inferior types of 3D/4D machines that have a much slower frame speed, the GE Voluson E6 provides unparalleled clarity. It also features genuine HDLive technology, so you can be assured that your baby's movements won't appear "choppy" or stalled. Each scan is performed by one of our expert ultrasound practitioners, all of whom are registered health care professionals qualified in sonography and experienced in obstetric ultrasound. All of our staff are highly qualified practitioners who have worked for many years in the NHS and the private sector. It is preferable to wear a comfortable, loose-fitting two-piece outfit on the day of your scan. We recommend consuming a sugary fizzy drink and a chocolate bar approximately 20 minutes prior to your appointment to assist with baby's movement; we also request that you arrive with a full bladder for all the scan options we provide. There are no other general instructions for all ultrasound examinations. Different examinations require different preparations and we will give you the relevant instructions for your specific scan when you make your appointment. An ultrasound examination is a painless procedure and there are no after-effects. How the examination is performed depends on what scan is required. Most ultrasound examinations are performed with the sonographer passing the transducer or probe over the area of interest and in contact with the skin. The patient is usually asked to lie on an examination bed and a clear, water-soluble gel is applied to the skin to help the transducer slide easily across the skin and to get rid of air trapped on the skin which the sound waves cannot pass through. The ultrasound practitioner then presses the transducer against the skin and moves it to see the area of interest. Images of the area are seen instantaneously on the television monitor. The ultrasound practitioner can explain the images displayed on the monitor to you, and you may ask questions during the scan. The practitioner may ask you to take deep breaths in or move into different positions to obtain the best possible images. What happens if my baby is camera-shy? The position of your baby during the scan may be such that gender determination and satisfactory 3D/4D imagery are difficult to achieve. On these occasions, the sonographer may ask you to take a gentle stroll to encourage movement of your baby before recommencing your scan. In the event that your baby is still camera shy, you will be offered a complimentary re-scan visit on an alternate date ()T&Cs apply). On the extremely rare occasions when we are unable to obtain the required imagery even after a complimentary re-scan, the sonographer provides a professional opinion as to whether the desired result would be achievable through further scanning. We trust that at such time you will appreciate we will have made every effort to achieve the desired result (notwithstanding issues beyond our control), and as such any further elected scan would be chargeable. It helps if your bladder is as full as possible. It is not always essential if you are having a scan after 24 weeks, although even then a full bladder can sometimes assist when the baby is low-lying. Can you scan for twins? Yes. However, as you may know, twins can get quite cosy in your womb and cuddle up to each other, so if you are considering a 3D/4D scan, the best time would be between 22 and 26 weeks gestation. A multiple pregnancy surcharge does apply due to the additional scanning time required. Baby is boss! 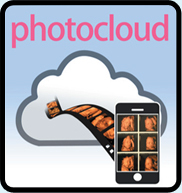 We always do everything we can to get the very best images possible, but each baby will scan differently depending on its gestational age, its position, the amount of fluid present, and the mother's condition. Sometimes, if the baby is persistently facing downwards (i.e. towards your spine) or if the hands and feet are covering the face, it may be difficult to achieve facial imagery, and if this happens we may ask you to take a gentle stroll in order to get your baby moving. If this does not have the desired result, and if we are not happy with the images or footage we have obtained for you, then we will book a complimentary rescan on an alternative date. We make no promises that the images will be similar to those you might have seen elsewhere or even from our clinic, or that we can always meet everyone's expectations; however, we promise to make every effort to obtain the best possible images of whatever parts of the baby can be seen. How much does a First Encounters scan cost? We have packages to fit just about anyone's budget. Please refer to our Scan Packages page for more information on available packages. A £25 deposit is payable at the time of booking your appointment using debit/credit card. The remaining cost is payable when you arrive for your appointment, and can be paid for with cash or card. Yes, both of our clinic locations have ample free parking to accommodate both you and your guests.